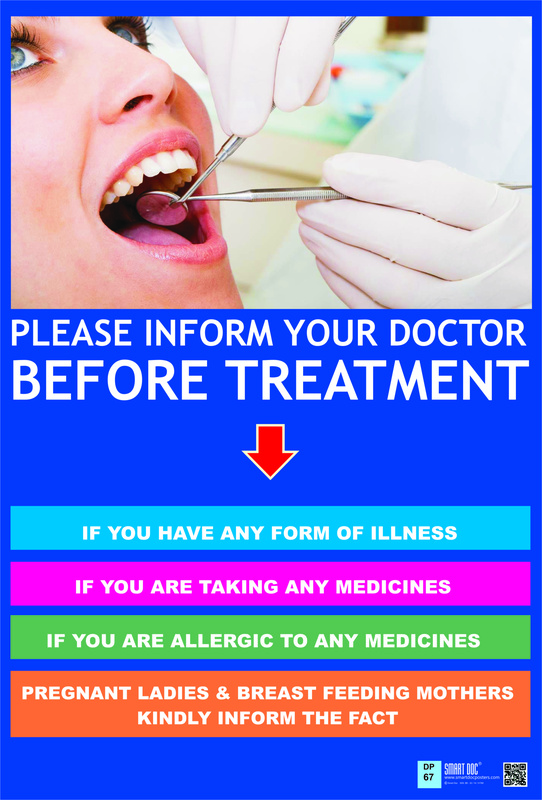 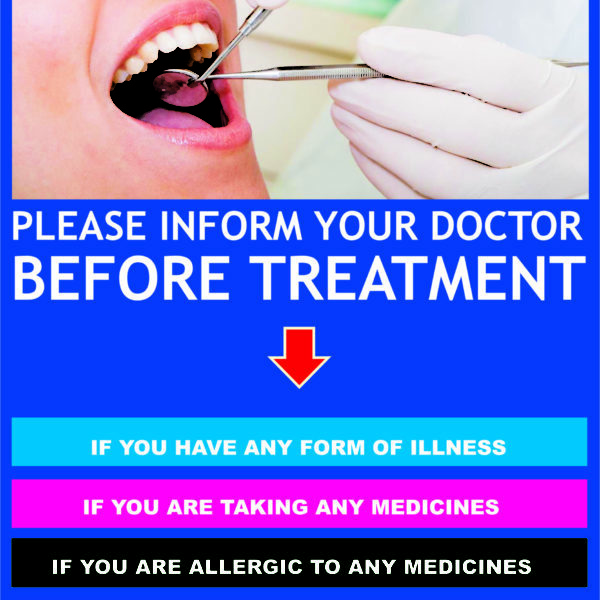 This poster conveys the message to the patient that he / she is to inform without fail the mentioned details to their doctor before treatment. 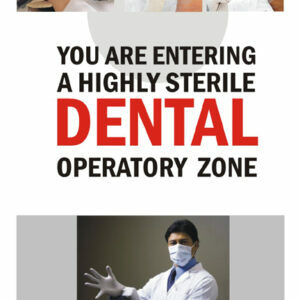 you are entering a highly sterile dental operatory zone (Eng.) 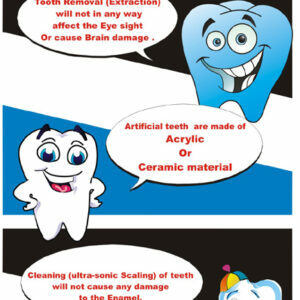 DP-77 E.
Erase the misconcepts about dental treatment procedures (Eng.) 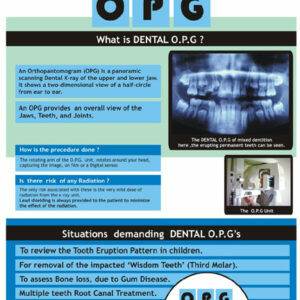 DP-72 E.